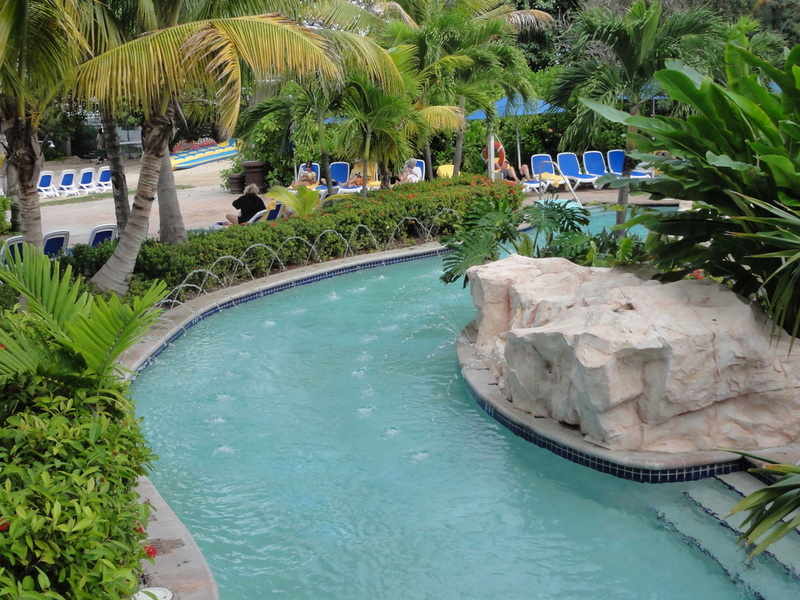 Swaying palms, waterslides, a lazy river, beach access, amazing and unlimited food and unending drinks: if you are anything like us, this sounds like heaven, and guess what... heaven exists at Hilton Rose Hall in Jamaica. Okay, maybe heaven doesn't have a guy trying to sell you drugs over the resort fence, but this place is about as close as it gets in Jamaica. We are big fans of all inclusive resort passes for Caribbean cruises, and this one is great. Whether you are a couple seeking some solitude or have brought your kids along, this place has what you are looking for. 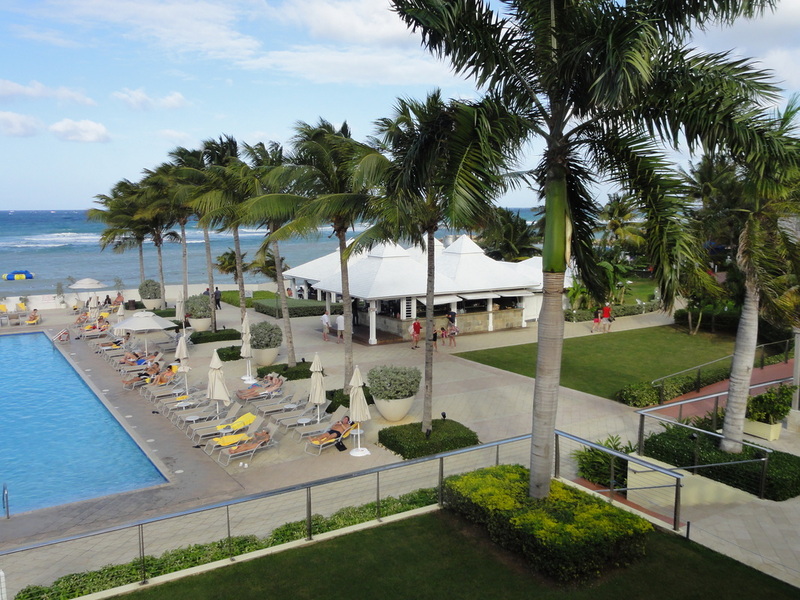 Hilton Rose Hall is in Montego Bay, which is about 20-25 minutes from the port of Falmouth and can be booked with a transfer from either port. The rate for the day pass only is $75, and round-trip transportation is an extra $15. (And, yes we paid the full price, so this review/info is not at all biased.) You can book it either way, but the transfer was painless and gave me peace of mind. 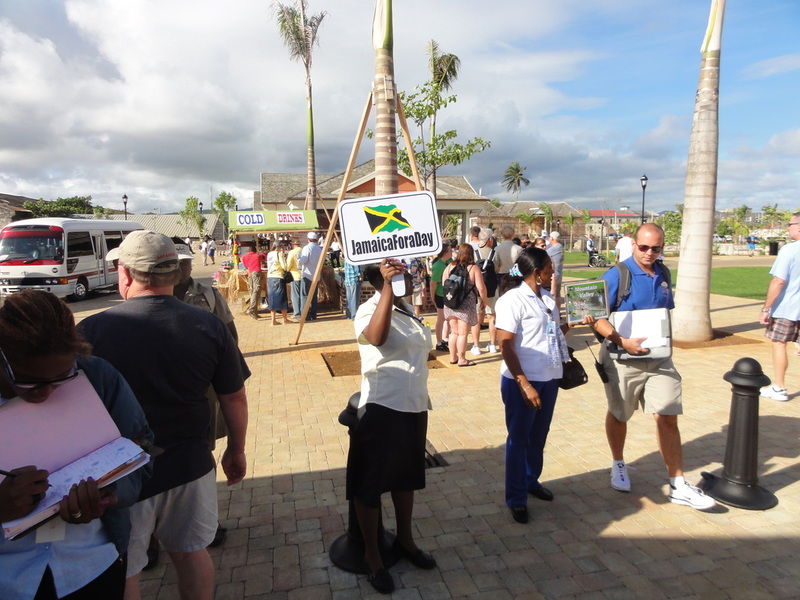 When you leave your cruise ship, you walk to the private excursions area and look for this sign. 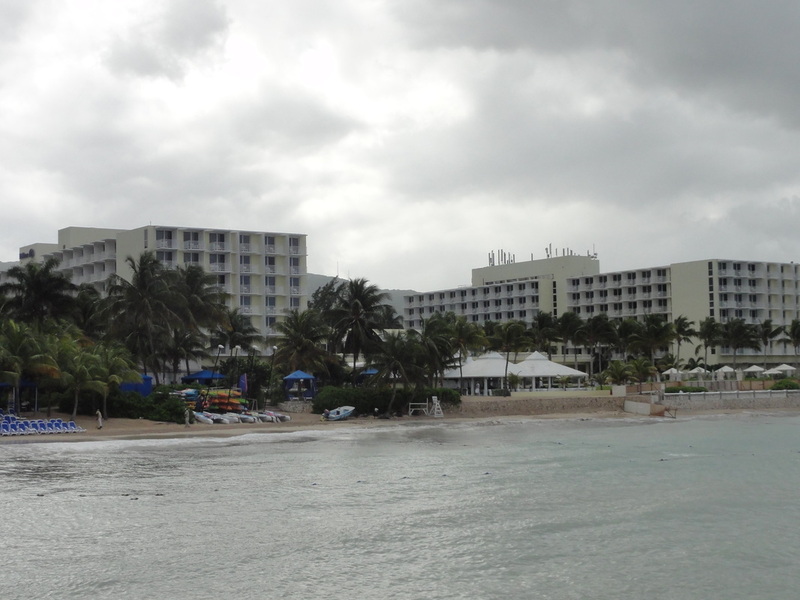 Hilton Rose Hall is the only excursion offered by this company from the Falmouth port, but they have other options from Montego Bay, so you might have to specify resort in that port. You then board a clean and comfortable bus with a professional and fun driver (we had Carl) who answers questions and gives you some background about Jamaica in general. Upon arrival at the resort, you must pay the balance (you pay a deposit when you book) which can be paid via credit card. This part could have gone smoother, just because your whole bus is checking in all at once, and there is only one person handling the process. From my research, I knew that this might be an issue, and strategically placed us so we would be first in line, but honestly, I saw everyone out and about within 10 minutes. They give you a bracelet and a resort map, and you are free to explore. 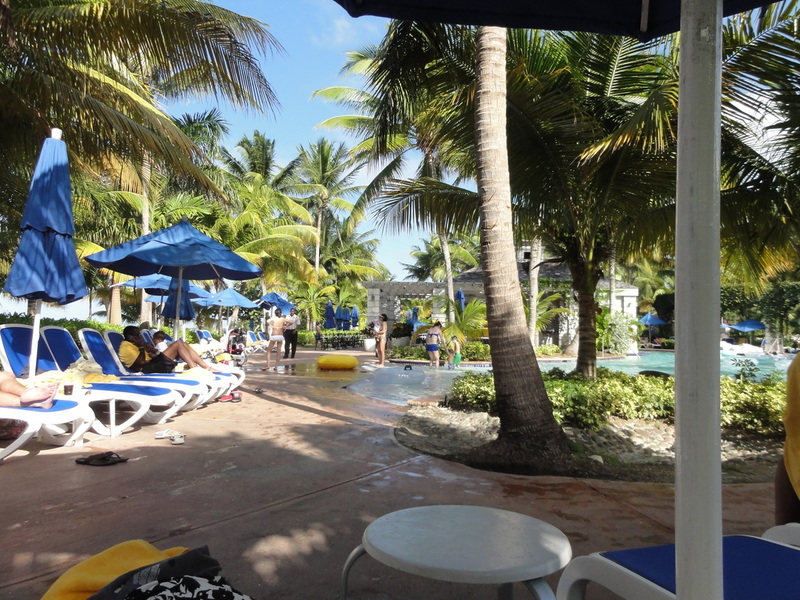 All food and drinks are included, as well as your lounger, a towel, beach access and non-motorized water sports, as well as any resort activities. Not included are any massages you may want to purchase, motorized water sports and a locker. The locker was the only issue for us as we didn't feel comfortable leaving our belongings, so we couldn't relax in the lazy river together. You could prepare for this in advance by bringing a waterproof wallet and little else, which we will do next time. 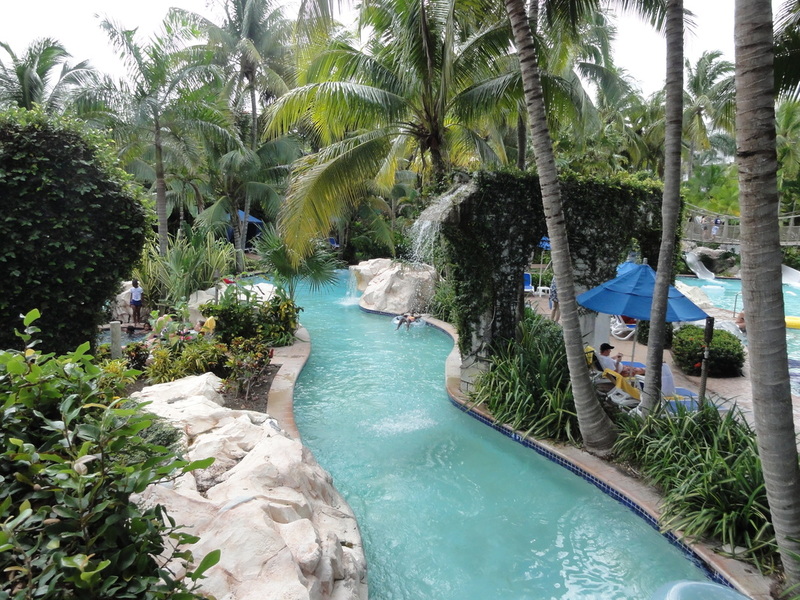 Oh, by the way, here is the lazy river. It was of decent length with various waterfalls and fountains sprinkling on you from time to time. Tubes were abundant and easy to find. 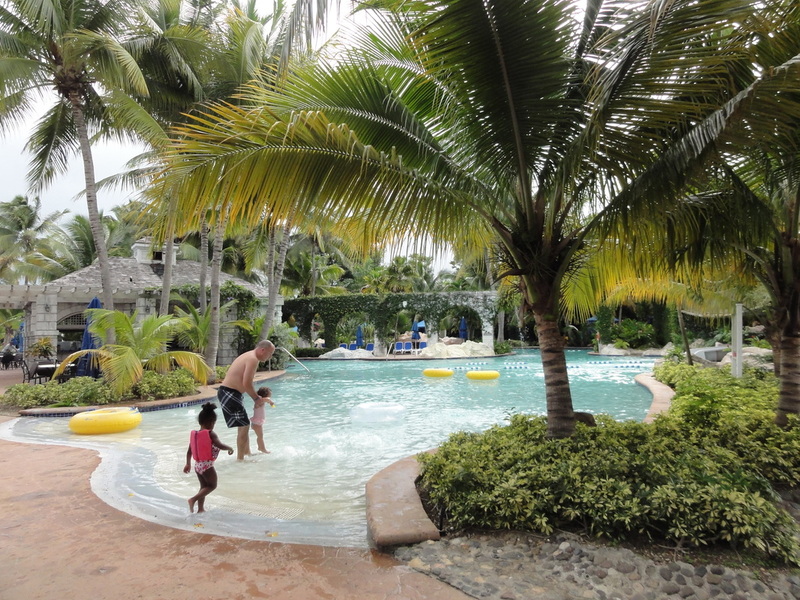 The pool is zero entry, which is great for those with little ones or a special need. When we got there, bars were open, but the food venues didn't open for another 30 minutes. We wanted to eat at the buffet inside the hotel, rather than the quick service place by the pool, so we waited about an hour to eat at noon. We did try items from the quick service later that afternoon as servers will come by and ask you if they can bring you anything. We had jerk chicken, which was great, but the buffet was really the food standout. Save your appetite; it is better than the ship's buffet by far. It had made to order burgers, hot dogs, quesadillas, and pizza as well as pasta dishes, salads, chicken, lots of great sides and desserts. The buffet was very high quality, and a server brings you whatever drinks you like. Gratuity is included in your pass, although extra is always appreciated for a great job. Like I said, you could just sit in your chair all day and they would bring you food and drinks, but you can get it a little quicker by getting it yourself. 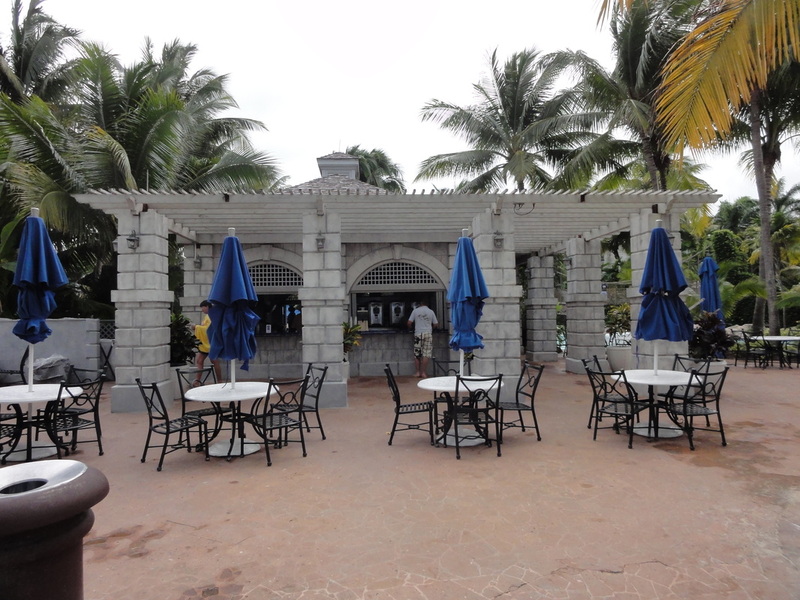 There are tables and chairs near the bar as well in case eating off a tray on your lounger doesn't appeal to you, as well as a full seating area next to the quick service by the other pool. The waterslides were fun, but the ocean was too choppy to go in the day we were there. In general, the beach at the resort is not as nice as the pools and other amenities, but there is a pier and water trampoline. As you can see, it was overcast when we arrived and even rained a little, but honestly our day was not dampened and the beach umbrellas did their job. As the sun came out, everyone from our bus expressed how much we all wanted to stay indefinitely. My only issues at all were the lack of lockers and the time that we were to meet the transfer to head back to port. I apologize that I can't remember exactly when it was, (I want to say 2:30 or 3, when our boat left at 5) but it was sooner than I would have left had I organized my own transportation. But, we would rather make it back early than late, so you can't blame them too much. In the past, I have always had the idea that sitting on a beach chair, reading or whatever would get old for me after a few minutes, but that was certainly not the case at Hilton Rose Hall. It will be difficult for me to ever do anything different in Jamaica in the future; I guess that is the mark of a truly great shore excursion. Edited to add: Jamaicaforaday has changed the excursion to include lockers for their guests. Hooray!